Roland ten Weges (France, 1985), is currently student at the Centre de Musique Baroque de Versailles (CMBV). He works with specialized teachers and follows masterclasses with Maarten Königsberger, Christine Schweitzer and Yves Sotin. He performes romantic repertoire with the Chamber Choir Exprîme, explores baroque music as soloist and chorist with the young ensembles Mercure Futur and La Chambre Concertante. 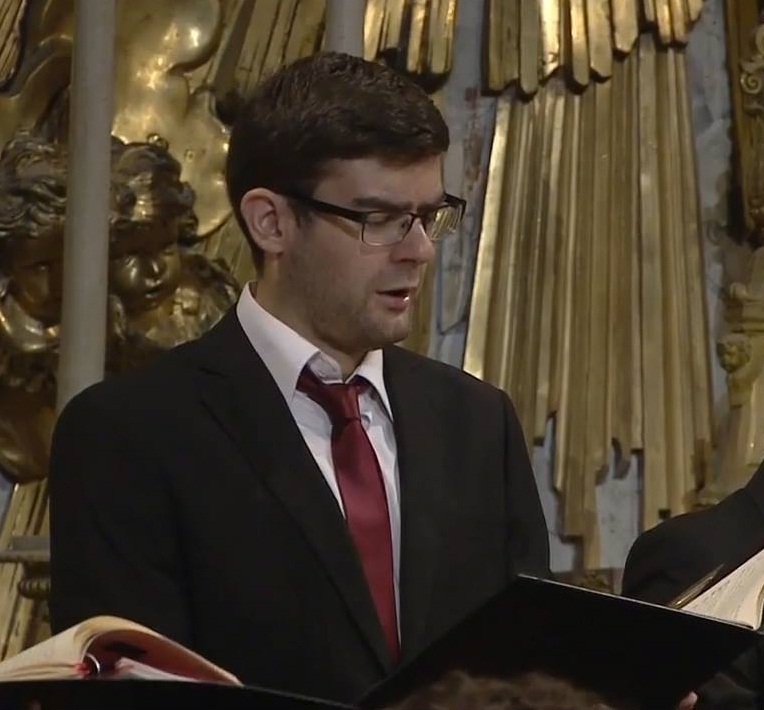 He also sang with professional choir Luce del Canto and the men choir Les Ombres. In recent years, he has given many concerts with partner orchestras like Les Talens Lyriques (cond. Christophe Rousset) and Le Concert Spirituel (cond. Hervé Niquet). He performed in venues like Galerie des Glaces, Chapelle Royale and Opera Royal of Château de Versailles, Avignon’s Opera, Arsenal of Metz, Theater an der Wien, De Bijloke (Gent) and festivals like Noirlac, Angers, Château-Thierry etc … In 2014 he was chorist in the staged baroque opera Tancrède by André Campra, directed by Vincent Tavernier and Olivier Schneebeli. Some of these concerts were broadcast on French Radio (France Musique) or in live video streaming (Culture Box), and he can be heard on four cd productions.